Lackey: Trade him while his value is high? 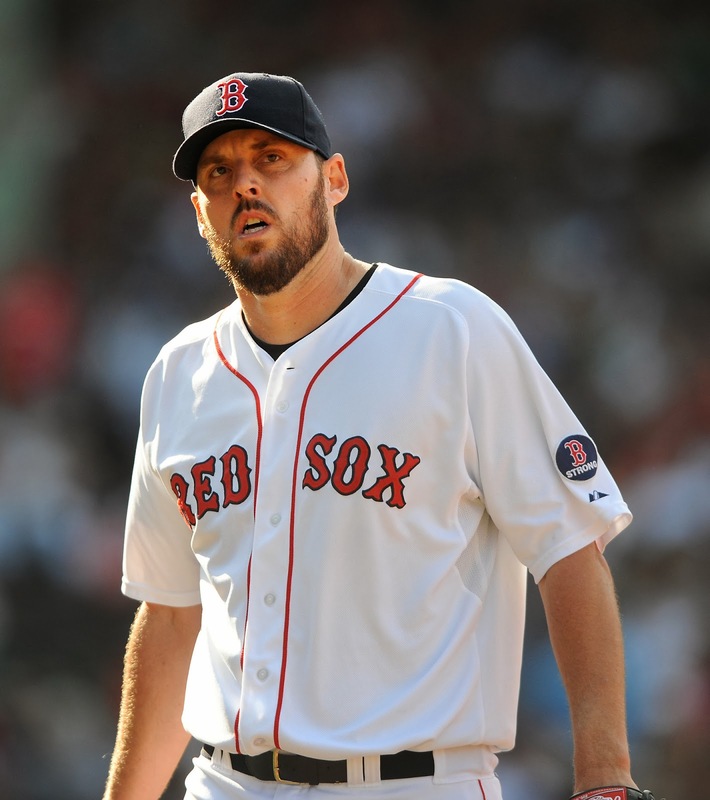 John Lackey is coming off a terrific year that epitomized this Red Sox team. So, would it be a good idea to trade him while his value is high? I'll give you 5 reasons why it would be a good idea. 1.) Players on the move: The Red Sox could have a number of players on the move in free agency, most notably Jacoby Ellsbury. John Lackey could be the way to fill some of those gaps, especially with Ellsbury. I like Jackie Bradley, Jr,, but I'm not sure he can come up right away and perform like Xander Bogaerts did. Lackey could be used as a way to get a suitable replacement for Ellsbury if he decides to leave. 2.) He may not have another year like this: When we signed him, Lackey had 2 bad years, then had a year off due to Tommy John's surgery. When you put it in perspective, Lackey only had this one good year with the Red Sox. What's to stop him from falling back to that? Just a "what if" question. So, why not trade him while his value is high? 3.) Other pitchers could take his place: The Sox have other pitchers that could take his place, Felix Doubrount to name one. As much as I like Lackey and love what he did this year, I don't think he's irreplaceable. Jon Lester is irreplaceable, but I think you could find a suitable replacement for Lackey. 4.) The Red Sox will free up $47 million in salary space: If they trade Lackey for a replacement center fielder, for example, they have plenty of room to go after a top free-agent replacement. Again, they have options within the organization, but with that salary cap space, they could go after another top notch starter to go with Clay Buchholz and Jon Lester. 5.) The Red Sox could get good prospects: The Red Sox could trade Lackey and get top prospects out of him and keep planning for the future. If they wanted to trade Lackey, I'm sure teams would trip head over heels to try and get Lackey and they would surely give up 1 or 2 of their top prospects to get Lackey. This is all speculation, and they may not want to give up Lackey. Especially given the year he had and his massive pitching performances in the playoffs.